We safely transport liquid bulk and dry bulk goods across all of Canada and the United States. 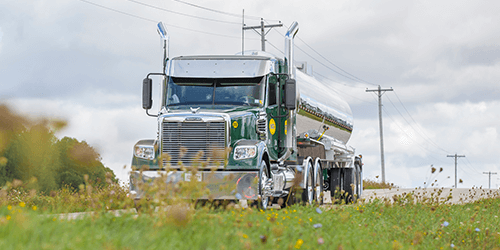 Whether you are hauling food grade or non-food grade liquid, or agricultural products, our state of the art equipment and facilities ensure your products will be transported safely and according to all federal regulations. We customize our services for each customer and are able to grow to meet your requirements. 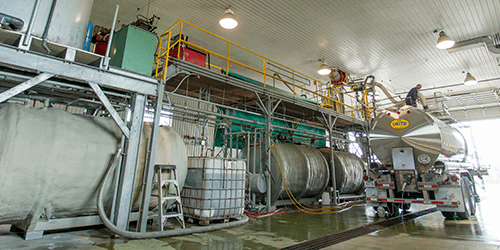 We have been hauling food grade liquids since 1946 and are highly efficient and flexible to meet the changing needs of the industry. 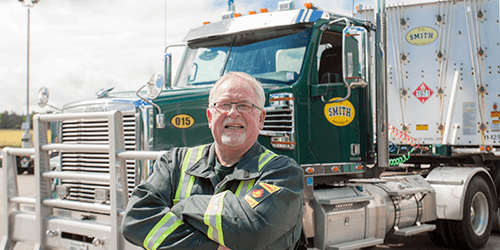 Knowledgeable and certified to transport across all of Canada and the United States, our deliveries arrive safely and on time. Learn about our state of the art, food grade, Kosher Certified wash bay.